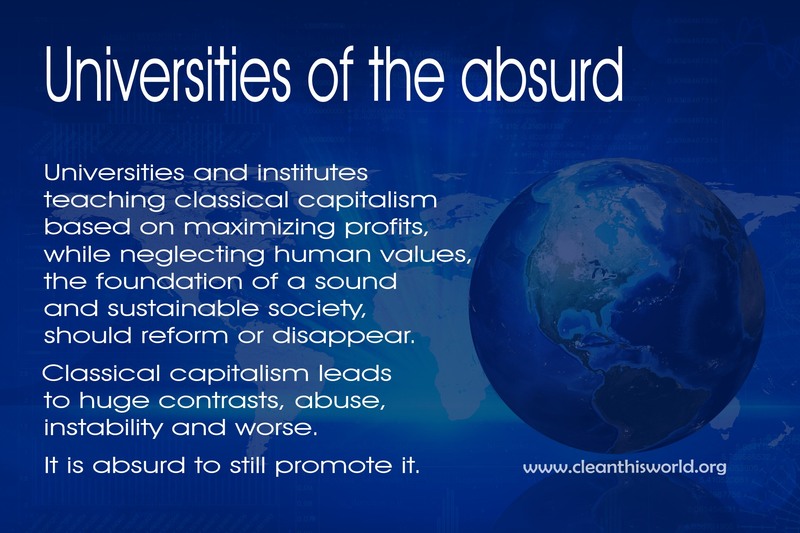 Universities and institutes teaching classical capitalism based on maximizing profits, while neglecting human values, the foundation of a sound and sustainable society, should reform or disappear. Classical capitalism leads to huge contrasts, abuse, instability and worse. It is absurd to still promote it.